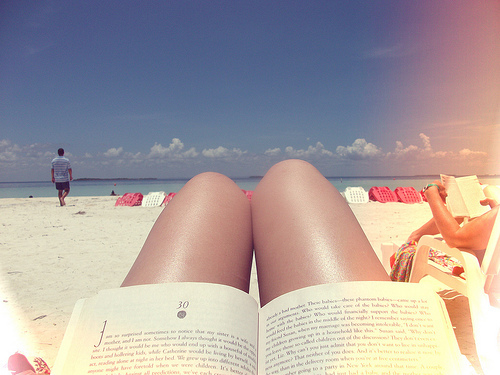 Tanning has received a bad rep in the past decade – and for good reason. Prolonged sun exposure is incredibly dangerous, and can lead to everything from premature aging to deadly forms of skin cancer. It’s just not worth it. Whenever my friends forgo their SPF 35 or step into a tanning bed, I can’t help but have a mini panic attack. But, I also get jealous of their glowing skin. Why does something so dangerous have to look so gorgeous? Not fair, guys. That’s where sunless tanner comes in. I’ll admit, I’ve been terrified of self-tanner since I showed up to my ninth grade homecoming with Oompa Loompa legs. And don’t get me wrong, I love my pale skin. I can rock bold brows and a vampy lip like no other, but I also love experimenting. Sometimes, I just want to look like a bronzed beach goddess. We’ve done lots of posts on sunless tanning in the past (see our guide to our favorite self tanners from different categories, and how to apply our favorite high-end tanner, St. Tropez) but since it’s a new soon-to-be-summer season, I thought I’d share my best tips for applying sunless tanner, as well as my favorite drugstore self-tanners with you guys! 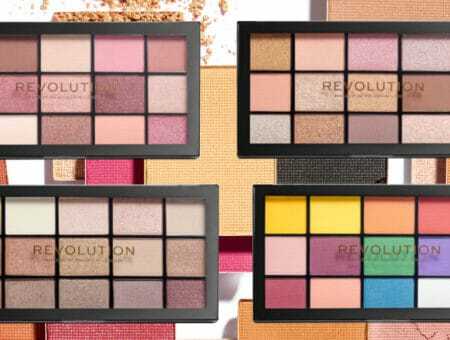 If you want that bronzed glow on a budget, read on and find out how to do it the healthy way. Exfoliate, exfoliate, exfoliate. This is by far the most important pre-tanning step. Dry skin is the number one culprit behind blotchy, uneven tans, because those rough patches absorb more color – hence that dreaded orange glow. Slough away dry skin with an exfoliating body wash – I like Olay’s Daily Exfoliating Wash – making sure to focus on rougher areas like the knees and elbows for a glowing, even tan. Shave. Shave before applying your tanning lotion to ensure you get the smoothest tan possible, as shaving afterwords can create blotchy patches. After you’ve shaved and exfoliated, let your body dry completely. Never apply self-tanner to wet skin – the streaks are a nightmare! Apply the self-tanner! Use broad, circular strokes and make sure the lotion is completely rubbed in. Don’t forget about places like your neck, behind your ears, and your mid-back. You can wear gloves if you want, but I think they make it harder to get the lotion to absorb. Wash your hands thoroughly. Grab your exfoliating wash again and scrub between your fingers and around your nails to keep them from turning that dreaded shade of orange. Wait. Ideally, you’ll need about an hour to prance around your room au naturale, but you should definitely wait at least 30 minutes before getting dressed to avoid staining your clothes. (Many girls apply self-tanner before they go to sleep – this works great, just so long as you wear dark clothes and don’t use your best white sheets!) After 20 minutes or so, apply another layer of moisturizer. This will even out your tan and help eliminate streaks before they’ve even formed. The color will start to show after 2-3 hours, so you’ll be bronzed and gorgeous in no time! 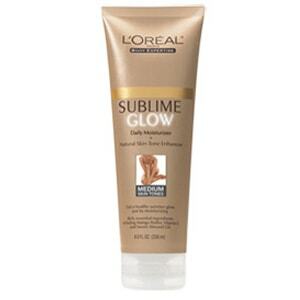 This is definitely my Holy Grail sunless tanner. It takes me from ghostly pale to subtly bronze overnight, and the color is super buildable and completely natural. 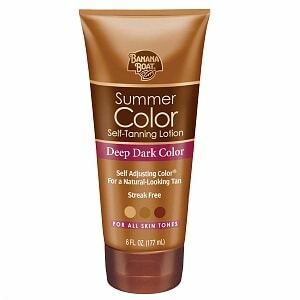 If you have a warm skin tone, this product is perfect for you. It’s yellower than most other self-tanners, which makes my skin look absolutely golden. The best part is, I’ve had absolutely no streaks. The formula is tinted, so you can see where you’re spreading it, which speeds up the application process. The only thing I’m not a huge fan of is the smell. Although it’s not as heavy as most self-tanners, I can still smell it when I wake up the next morning. This is a classically good drugstore buy, and comes in a few different strengths, depending on how dark you want to go. “Medium” is subtle and works great for super pale girls, but all other skin tones should opt for “Medium-Dark”. The color is natural, the smell is pleasant, and the creamy formula means no streaks. This product is great for those with dry skin – the lotion is ultra-moisturizing and has ingredients that help lock in moisture to keep skin soft for hours. The downside, however, is that this lotion can feel sticky for a few hours after you apply, so it’s not the best if you need to put it on in a hurry. 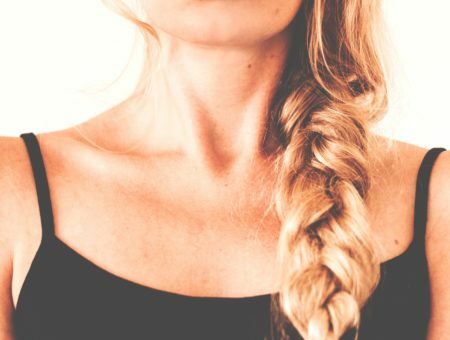 If you’re super pale, a regular self-tanning lotion might make your skin too dark, too fast. If that’s the case, (or if you just want to ease into self tanning), then a gradual self-tanning lotion is the way to go! Here are my two drugstore faves in this category. You’re about to call me crazy, but I promise you, this stuff smells AMAZING. The active ingredient in most sunless tanners, DHA, smells… bad. You know what I’m talking about. But this wonderful moisturizer smells like oranges and tea, and it gives my skin a beautiful, buildable glow. Of all the self-tanners I’ve tried, I think this one gives the deepest base tan, but you have to apply it more often – at least 3-4 times a week. It’s worth noting that this moisturizer is not meant to be used on your face. Additionally, it does contains a subtle silver shimmer, and although I’m not a huge fan of that, if it doesn’t bother you I definitely recommend this product. 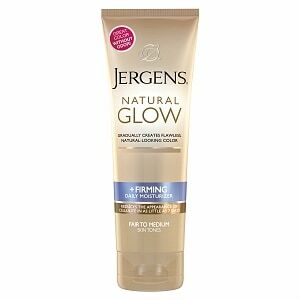 Let me start this by saying Jergen’s formula has vastly improved over the years. I remember borrowing this lotion from my mom in high school, and it turned my skin into an orange, streaky mess. But, after giving this newly reformulated brand another shot, I’m impressed! This is one of the many gradual tanning lotions that claims to zap away cellulite like magic. While no lotion, drugstore or high end, is really capable of that, this product does have some firming qualities. It doesn’t give me supermodel legs, but it did temporarily reduce the appearance of cellulite while giving my skin a healthy, warm, brown glow. 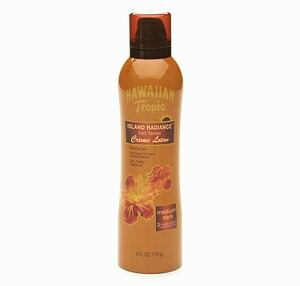 Compared to other drugstore brands, the self-tanner smell is minimal, and it even gives your skin a bit of sparkle. Definitely one of the best gradual tan products on the market. How do you get your spring glow? Which self-tanners do you swear by? Be sure to leave me a comment and let me know what you think!